DAVID LE/Staff photo. 3/5/15. 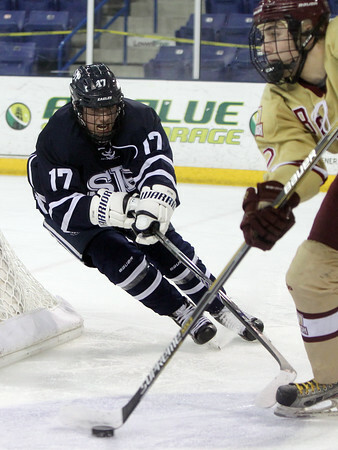 St. John's prep junior forward Sam Stone (17) attacks BC High defenseman Billy Roche (2) as he controls the puck.